Welcome to the Wombat class! This half term we have been looking at persuasive texts. We look at lots of different leaflets advertising farms. We looked at the features and language they used and then used this to write our own leaflets on the computer for Mudpuddle Farm from a text of the same name by Michael Morpurgo. We have found out how to find fractions of sets and shapes using this knowledge to solve word problems. We have counted in halves and quarters. This half term our main focus has been plants. We started by thinking about what we would like to know. We wondered if all seeds were the same and what they looked like inside. We made grassheads and watched them grow and then gave them some really great haircuts! We investigated which part of the seed grows first, what keeps plants healthy and the effects of temperature on plants. This half term we have been thinking about things that are important to us, changes and loss. We read the book Dogger and talked about how the different characters felt. Our topic this half term has been stories by a familiar author. We looked at some more stories by Jonny Duddle. We focused on The Pirate Cruncher and really enjoyed the surprise ending. Our Class Read is also by Jonny Duddle it is called The Ghostly Gallieon. This half term we have been spending money in a cafe. We learnt how to calculate how much we had spent and also how much change we should receive. Our theme topic has been Explorers. We used books, the internet and film clips to find out all about Neil Armstrong and Christopher Columbus. These are some of the things we have found out…..
Christopher Columbus was born in Italy. He set sail looking for a route west to India. Ask your child to share with you one of their ‘Did you know facts’. This half term we have been working with Coach Chris on our gymnastic skills. We have learnt how to roll, balance and travel in a variety of different ways. In English this half term we have been learning about traditional tales with a twist. The story we focused on was Little Red Riding Hood. We retold the story using ‘talk4write’ and then used this to make comparisons between the original and a new version of the story. In Maths we have been learning to collect, represent and answer questions about data. We have also explored the operation Multiplication, using what we had learnt to answer questions. Our topic this half term has been ‘Fighting Fit’. We have investigated how to stay healthy by eating a balanced diet, getting exercise and keeping clean. This term we have designed and made our shoe box vehicles for the S.T.E. M project. STEM stands for Science Technology Engineering and Maths; we have used skills for all of these areas when building our vehicles. The car that travelled the furthest down the ramp then gets entered into a competition in the New Year with other local schools. The winner from our class was Muhammad Isa Ali. We have taken part in a whole school weaving project this term. This was very exciting and the children had lots of fun learning the weaving techniques. We started off with a visit from James Ballough who is part of the Lancashire Outreach Programm. He focused on introducing the children to the Lancashire Loom. We made a human loom and the children each re-enacted a part of the loom. We then made a prototype for our weaving project using paper plates and a variety of materials. We loved them so much we chose to use them for our calendars. Our final piece was a piece to enhance Reception’s outdoor area. We weaved a variety of materials into a large hula hoop and Mrs King was super impressed with our finished weaving. 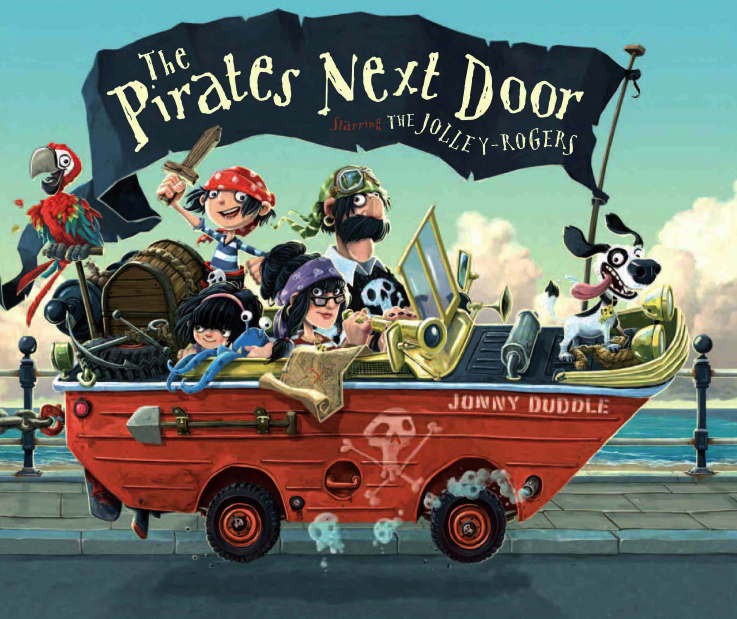 In English this half term we have been enjoying the book The Pirates Next Door by Jonny Duddle. We have acted out the story using Talk For Writing. We thought of questions we would like to ask the characters and then used our story voices to ask and answer questions with a partner. Some characters even received letters from us. We have been writing our own non-chronological report on dogs. To provide us with all the information we need to write one, we had a visit from Pendle Dogs In Need. Sharon brought in her dog calle Evie and we talked about how we look after dogs. The children loved this exeprience and asked Sharon lots of really good questions. In mathematics we have spent some time looking at place value. We have looked at the value of different digits within two digit numbers and have experimented making them using a variety of apparatus. We have then used our knowledge of place value to help us tackle both addition and subtraction problems. Mrs Ellis has set us lots of challenging tasks to help us become more independent learners in Mathematics. We found out what ‘birds eye view’ means. We used aerial maps and our local knowledge to draw maps of the area around the school. On our maps we included a key to show what the different symbols represented. We walked round the school building to identify changes that had taken place over time. We interviewed Mrs Walton and discovered that the school was first built in 1977 but had been extended several times. Did you know the school was built on the site of Reedley Farm? We talked about feelings and the importance of our actions on other people's feelings. We have been taking part in lots of roleplay to help us to see things from other people's point of view.